to offer two Jerry Thomas prints for sale! PAINTING--Captain Albert Barnitz and bugler Charles Clarke lead the column of 7th Cavalrymen over the Smoky Hills and northward to meet the Cheyenne. Fort Wallace is faintly visible in the background as flags fly in the Kansas wind. Rifles by their sides, the Cavalry sets their sights towards the Cheyenne in the distance. HISTORY--Although many of the men, including their leader Captain Albert Barnitz, were Civil War veterans, they were unprepared for what the Indian fighting force had to offer. With Charles Clarke sounding the charge, on June 26, 1867 the 7th Cavalry met its match. Unaccustomed to the Indian style of warfare, the cavalrymen were looking for an easy win against the 200 Cheyenne they met. It was often held that a single cavalryman "was equal to ten, twenty, even forty Indian braves". However, after this battle the reliability of that saying was smashed. PRINT--Although the original is somewhat larger, the prints of this painting are 25" x 12". If you order before the pre-order period ends, this print will cost $75.00 (the price will escalate to $100.00 after the pre-order period ). Artist Proofs (with a handpainted remarque) cost $125.00. All proceeds from the sale of this print will go directly to the Fort Wallace Museum. To order or for more information, please call, email, or write using the information at the bottom of this page. PAINTING--Near Monument Rocks, two 7th Cavalrymen pause in their scouting to overlook the scene below them. In front of them, faintly visible among the native grasses is Major Elliot's column that is headed towards Medicine Lodge Creek. The scouts were given the task of ensuring that the road in front of that column is safe to travel on. HISTORY--General Custer had just been charged guilty of "Absence without leave from his command" as well as two counts of "Conduct to the prejudice of good order and military discipline." As punishment for these offenses he was relieved of his command of the 7th Cavalry and demoted for a period of one year. Major Joel Haworth Elliot assumed Custer's place as the commander of the 7th Cavalry stationed at Ft. Wallace. Soon after he assumed command, he took 150 of his own 7th Cavalrymen as well as a battery of the 4th Cavalry on a journey. Taking over 200 wagons (30 of which contained gifts for the Indians), Elliot and his column headed out of Ft. Larned towards Medicine Lodge Creek to meet with five Indian tribes. After two days of travel and fourteen days at the meeting, the Medicine Lodge Peace Treaty was signed. PRINT--(Frame not included) The actual picture measures 36" x 11.5" and there is a 2.5" white border on all sides. Current cost of this print is $125.00. Partial proceeds from sales will benefit the Ft. Wallace Museum. only the Ft. Wallace Museum, but the preservation of Kansas history as a whole. 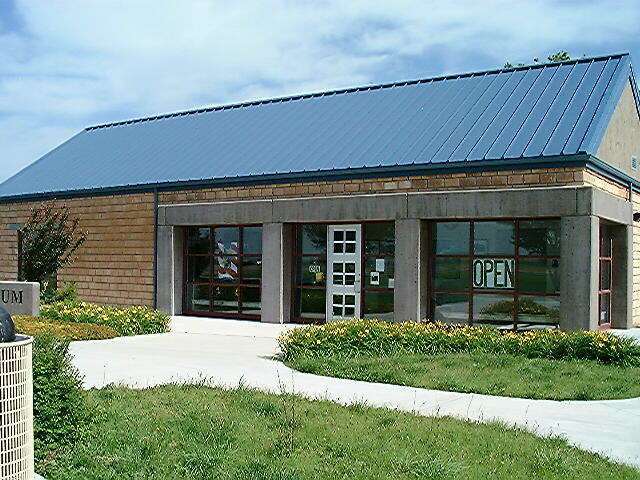 museum@ftwallace.com Free admission with a suggested donation of $7 per adult.